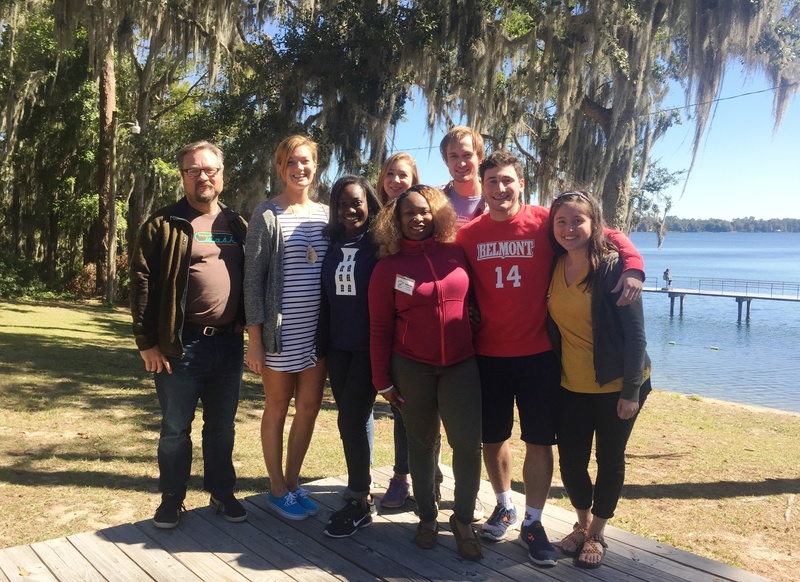 Associate Professor of Biology Dr. John Niedzwiecki and seven Belmont seniors presented their research projects at the Poster Session of the 43rd Southeast Population Ecology and Evolutionary Genetics (SEPEEG) Meeting held October 21-23 in Madison, Florida. The meeting, hosted by the University of Florida, included research presented by faculty, post-docs, graduate students and undergraduates from universities across the southeast including Belmont, University of Florida, University of Georgia, University of South Carolina, Mississippi State, University of Alabama, Auburn University and Florida State University. Belmont students Sandra Bojic, Jasmine Conyers, Krystin Estes, Shirley Kyere, Kody Muhic, Joanna Sorrell and Ryan Tapley each presented posters in the Saturday night poster session. Dr. Niedzwiecki is the co-author on the student’s research projects.